"We treat everyone like family"
The circuit breakers on Federal Pacific Panels do not trip when they are supposed to. Generally, of 1 out of 3 circuit breakers will not properly trip when they are supposed to, which is extremely dangerous, as the sole purpose of that circuit breaker is to provide circuit protection and to shut down when the circuit gets shorted or overloaded. This particular circuit breaker has a history of not tripping and shutting down the circuit which has been known to cause fires. The circuit breaker attaching to the “buss bar” is also an issue, as the buss bar is responsible for delivering power up and down the panel to each of the circuit breakers, and this connection point between the circuit breaker and buss bar has shown overtime to not connect properly. This improper connection overtime has been known to create a loose or faulty connection which can result in an overheated panel that can burn the circuit breaker thus melting the buss bar. Many Federal Pacific panels have split buss panels. Split buss panels do not have a main circuit breaker but instead have the panel broken down into 2 sections. The top half is completely unprotected and has a 6 disconnect rule so you are extremely limited as to what you can install in that particular area. The problem is that frequently there is too much load that has been added over time to this portion of the panel and the 60 amp circuit breaker is not enough to accommodate the load any longer. These panels are insufficient for today’s homes and space is very limited to their design. Not sure about your electrical panel? 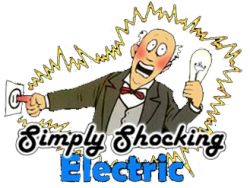 Give Simply Shocking a call now and we will happily perform a free no obligation safety inspection of your electric panel that will give you peace of mind in knowing exactly what you have in your home. 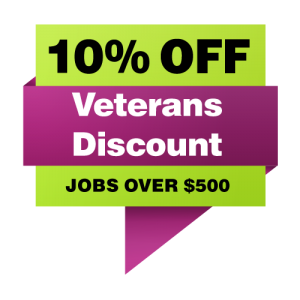 Or fill out your info below, and we’ll contact you!